Ideal for submetering commercial, multi-family, industrial, educational, institutional and governmental facilities. 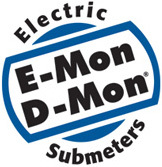 E-Mon has a solution to meet your metering and energy initiatives. Leading the metering industry with on-staff engineering and technical support staff..